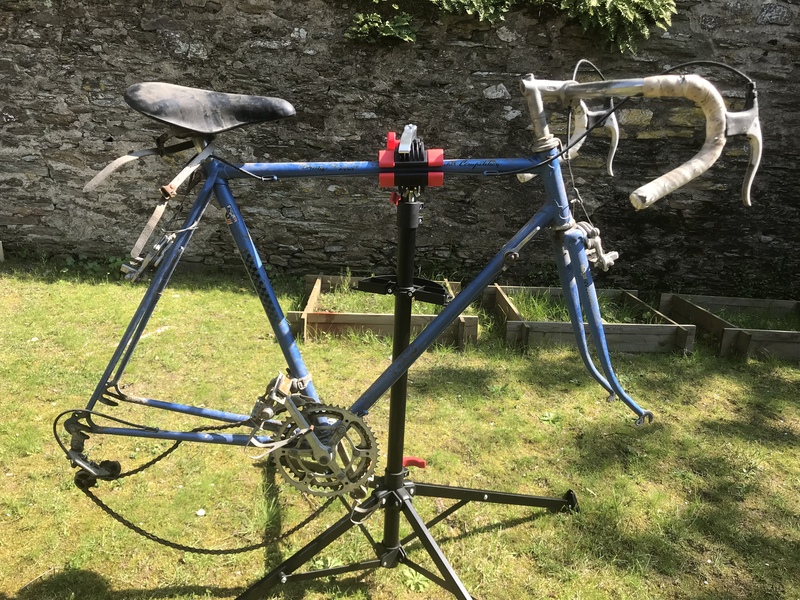 I recently went to the local dump with a friend to depose some grass cuttings, and came across an abandoned vintage Peugeot road bike from the 1970s. It amazes me that some people do not maintain their possessions, especially an old bike with charm and character! 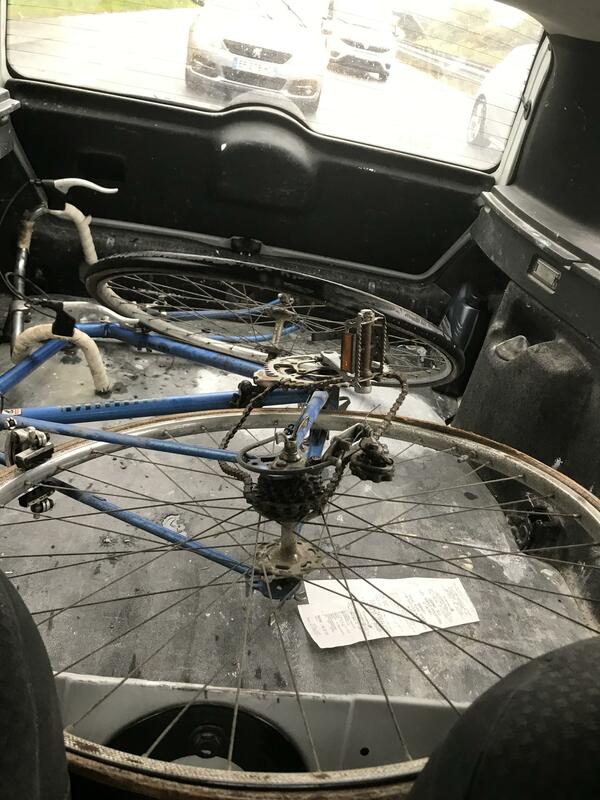 After a quick discussion with one of the dump’s employees, my friend’s car was transporting the parts of a bike restoration project! With the exception of a missing gear slider and cable for the damaged front derailleur, the rest of the bike seems in reasonable condition. 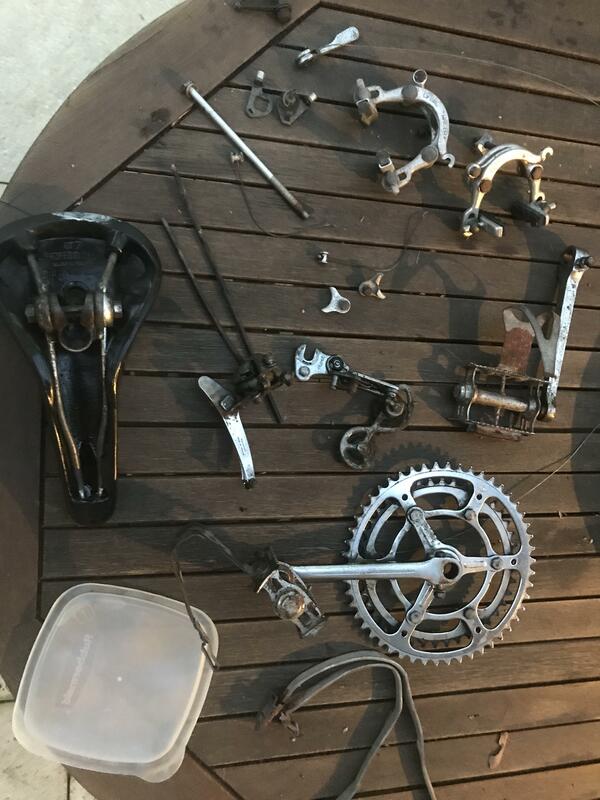 The sections below describe the chronological order of this bike restoration project. The first phase of cleaning with WD-40, oven cleaner, a toothbrush, and rags takes three hours. 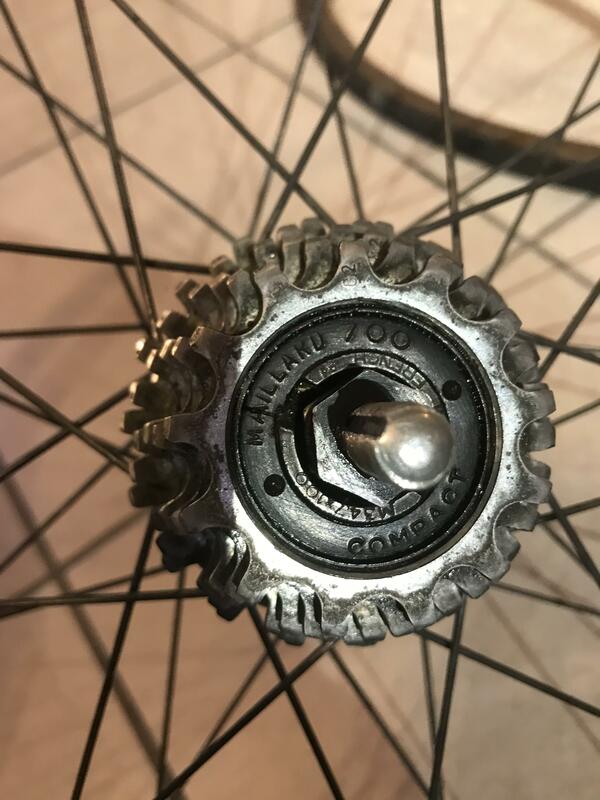 The initial rear wheel clean reveals a six speed Maillard 700 Compact freewheel, with the French M34,7×100 thread. The teeth configuration of the six speeds are 13T, 14T, 15T, 16T, 17T, and 18T. On the letter A of the freewheel is a crack. Hopefully this crack does not stop the wheel from functioning! With the plan to remove the freewheel, so I can fully service the hub, I have ordered a Var RL-41300 cassette and freewheel remover. The rear wheel hub is a Normandy 76. 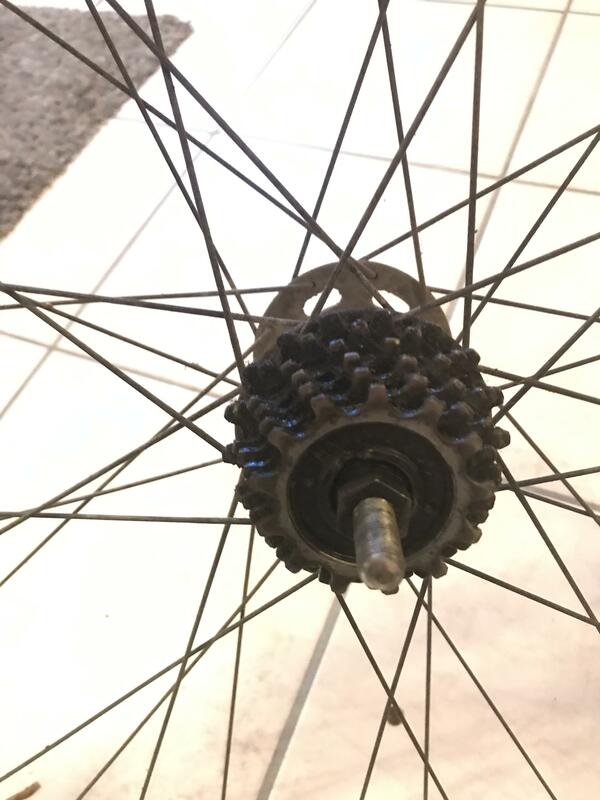 A sweet looking hub, in great cosmetic condition. I plan to disassemble, check the bearings, re-grease, and reassemble the hub to ensure optimal performance. Although the tire is perished, amazingly, the inner tube is in perfect condition. Removed the brakes, derailleurs, chain, and brake levers. The seat post and handlebar stem are stuck. The inner chain ring of the crankset is bent, and touches the bike frame at certain positions. 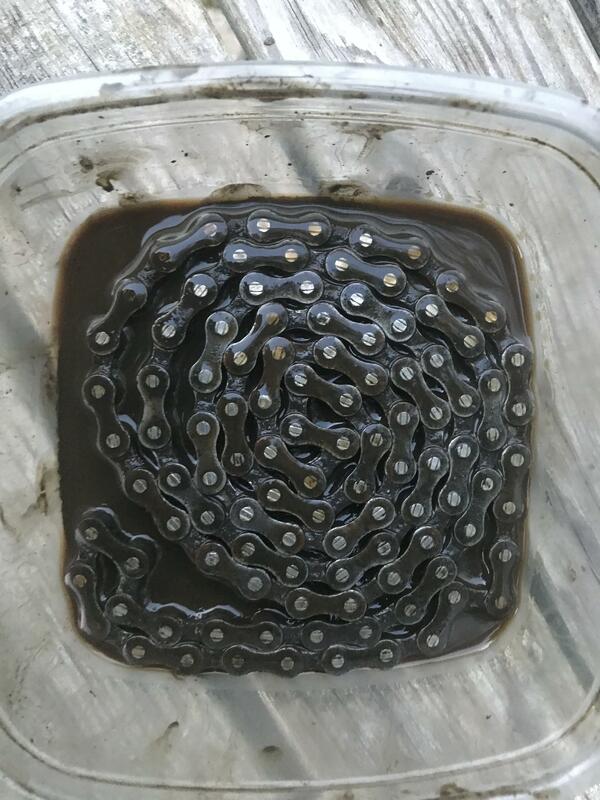 Put the chain in a plastic bowl with some 3 in 1 degreaser.